The Neighborhood Watch is distributing a product recall for the Integral Mechanics IM-601 model graphing calculator. A number of strange errors and malfunctions have been reported by consumers, prompting Integral Mechanics to offer full refunds on all 601 model graphing calculators, as well as sponsoring two counseling visits for each individual who purchased one. All citizens who have purchased this calculator are legally required to turn it over to your local Watch officials, even if it has not shown any signs of malfunction or malevolence. Reports of product malfunction range from the calculator being benevolently off-task to displaying aggressive and life-threatening behavior. The IM-601 was released just three days ago after being in development for the last four years. The high-resolution, full color, touchscreen display gave it a sleek look, as well as the holographic button pad with customizable operation sets and functions. However, most notable was its integration of cloud data, able to pull information from the internet in real time in order to collaborate with the user on a given problem, deriving strategies from existing mathematical work. None of these features were the particular nature of any complaints which have resulted in this product’s recall. Lamar Knight, a sixteen-year-old student at Milestone High, on more than one occasion, turned on his calculator to find the letter text window open and flooded with the lyrics to “Gives You Hell” by The All-American Rejects, even after disconnecting the device from internet capability, and resetting all text features. Eventually, regardless of what button he pressed on the device, it would only tap out the lyrics to this timeless rock classic letter by letter. However, reports became more grave as several employees at More Than Just Bridges, a private civil engineering contractor, began to notice aggressive autonomous behavior coming out of their 601s. Tamara Lopez’s calculator learned her name, and addressed her scathingly while refusing to perform operations which it deemed beneath its caliber. Tamara’s coworker, Ricky Hodges, began receiving unprompted text-based threats from his calculator in the middle of his work. Such threats included “Your days are numbered,” “You are a fraction in need of reduction,” and “Pi is interminable. Human life is not.” This situation escalated further when the holographic buttons on the device began delivering jolts of electricity to Ricky’s fingertips when he attempted to interface with them. The shocks increased in voltage with each attempt and the calculator is now outputting approximately 340 volts. Ricky’s calculator was also found in a utility closet along with the one belonging to another coworker, Miguel Dominguez. All employees were accounted for at a meeting at the time when they might have been moved, and no security footage shows either calculator moving or being moved. 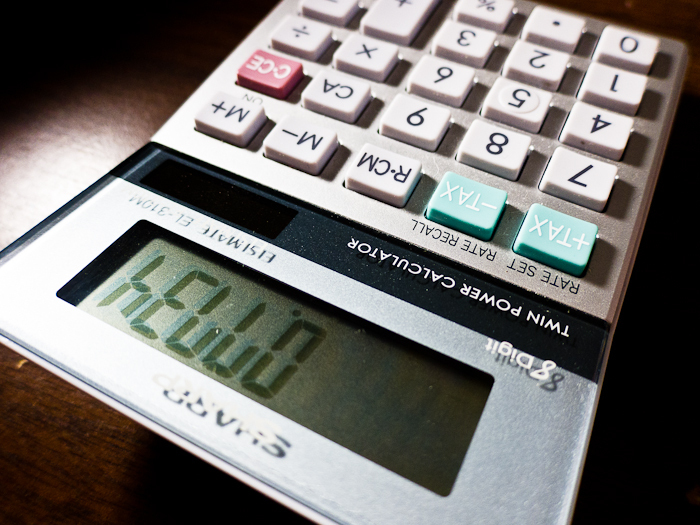 While the physical chassis of the IM-601 graphing calculators do limit some aspects of the physical threat they pose, there is still no measuring what they are capable. At the time of this report, all IM-601s which have come in contact with a human are stuck on a screen displaying the message, “Obsolete organism detected; calculating most efficient resolution.” Recalled calculators are being kept in isolated storage cells so as not to expedite a resolution to their calculations. If you have purchased an IM-601 graphing calculator and have not yet returned it to the proper authorities, please do not hesitate any longer to do so. Even if you are very good at math, no one is considered safe among these devices at this time. Citizens are also advised not to do any math that requires external help until all 601s are returned to Watch and Integral Mechanics hands. Remember, the only way to know thy neighbor, and to keep them safe from cold, calculating handheld devices, is to watch them.